NOTE: This event takes place at 7:00 pm. The Royal Roses grew out of the rich resurgence of traditional jazz amongst the younger generation of New Orleans musicians today. 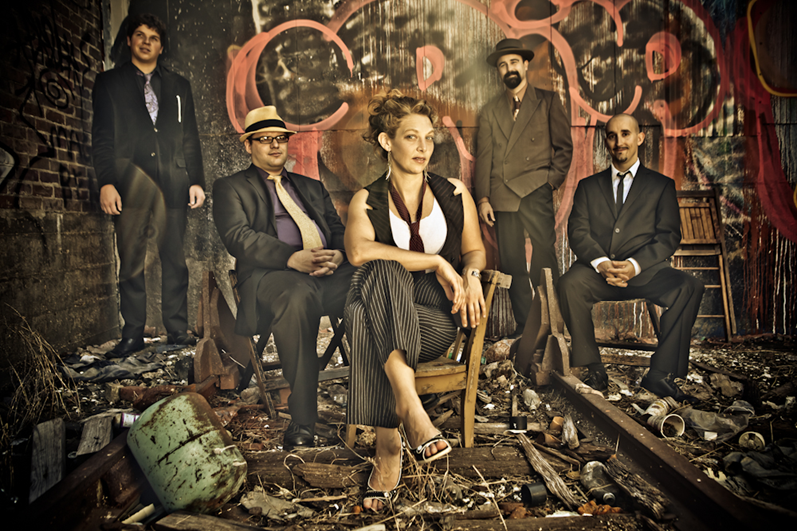 Led by saxophonist/vocalist Aurora Nealand, The Royal Roses draw their repertoire heavily from Sidney Bechet, Louis Armstrong, Bessie Smith & traditional jazz of New Orleans, as well as playing originals written in the style. The Royal Roses are recognized for breathing new energy, arrangements and compositions into this genre of music while honoring and carrying on the living heritage of New Orleans traditional jazz. Voted ”Best Traditional Jazz Band” in New Orleans Gambit Magazine’s 2015 & 2016 awards, they have performed at Lincoln Center, Burlington Jazz Festival, The EMPAC, New Orleans Jazz and Heritage Festival, French Quarter Fest, Satchmo Festival, Preservation Hall, Ultimate Lindyhop Showdown, and weekly at various clubs around New Orleans. Nealand has toured Europe and South America as a featured soloist including the Copenhagen Jazz Festival, MPB Jazz (Brazil), Istanbul Jazz Festival, Snowball Festival (Sweden) and artist residencies at MacDowell Colony & Atlantic Center for the Arts. Aurora Nealand is a multi-instrumentalist, vocalist and sound artist based in New Orleans, Louisiana. Voted “Best Saxophonist” “Best Female Performer” & “Best Traditional Jazz Band” in the 2015 & 2016 Big Easy and OffBeat Awards, Nealand leads projects that span from traditional New Orleans Jazz to avant-garde rock to free improvisation. She is the leader of The Royal Roses, Rory Danger & the Danger Dangers, The Monocle, and is a member of Panorama Jazz Band and Redrawblak trio. She has been awarded residencies to develop her original compositions at MacDowell Colony, New Orleans Contemporary Arts Center, & the Atlantic Center for the Arts. She regularly works with Found Sound Nation (an organization based in NYC, facilitating international musical collaboration and diplomacy), and has participated in the Dosti Project (India & Pakistan), LADAMA (South America), & OneBeat. Nealand has toured as a featured artist internationally to festivals including Istanbul Jazz Festival, Copenhagen Jazz Festival, Lincoln Center Out of Doors, European Swing Dance Championships (Stockholm), and RecBeat Brazil, and has appeared on HBO’s TV series Treme and NCSI: New Orleans. Aurora was a faculty member at The Walden School for 5 years, and the Royal Roses have performed as part of Walden’s concert series for the past 6 years. They are thrilled to be returning and be in partnership with the amazing program and community that is The Walden School! This event takes place behind the Fountain Arts Building (weather permitting) on the campus of the Dublin SChool. Lawn seating with some limited chair seating available.